Mistakes are a part of life. We all know that, but when it comes to capturing footage, you have only one chance. In this article, we are going to go over the five worst mistakes you can make when capturing aerial footage. Mistake #1: Thinking That You Own The Sky – this is probably the most common mistake that I see in a lot of novice drone pilots. 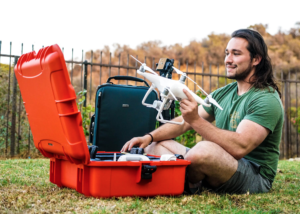 I understand, you just bought your drone, you immediately take it out of its packaging, you start up the motors, and take off without thinking what’s above you. If you do a quick search for “birds attack drones” on YouTube, you will be surprised how many results come up! Birds are territorial, and they will not hesitate to nose dive right into your Phantom. I had an experience in San Francisco where a seagull tried to take my Inspire 1 out, but I luckily managed to outfly the bird. Birds are not your only concern; before take off, always have a look to see if there are any peculiar birds flying around! Next, make sure that you aren’t interfering with any other air crafts that are flying at low altitudes. All unmanned aerial vehicles have a legal flying ceiling of 120 meters (400 feet) and below. Flying above that is considered illegal and will only cause trouble for you. When driving our cars, we share the road, when flying our drones, we must also share the sky! Mistake #2: Forgetting To Press Record – I have to admit, that even as a professional, I sometimes forget to press the record button. We can get really attached to flying the drone and completely forget about pressing the record button. The best way to avoid this problem is to always press the record button right before you take off. Even though you might fill up your memory card space, it is a way better solution than not having any footage at all. 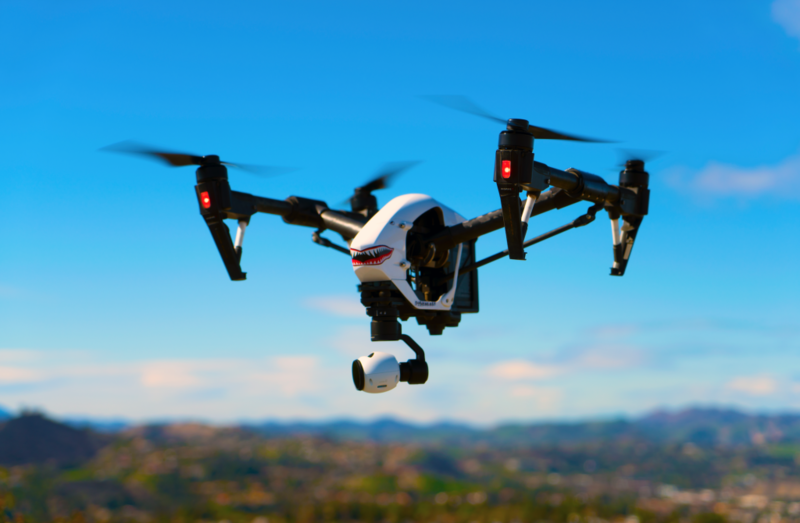 Mistake #3: Forgetting To Use An ND Filter – An ND or neutral density filter, is a thin layer of tinted glass that attaches to your drone’s camera. Its sole purpose is to avoid over-exposed footage. Neutral density filters are mainly used during a sunny bright day, the tinted glass is able to block some incoming light in order to produce a better picture. There are many neutral density filters, some which let in less light than others. The filters are labeled by numbers such at ND2, ND4, ND8, and so on. The higher the number, the less light it will let in. Buy a few of them and keep them in your drone’s case, never deal with over-exposed footage again! Mistake #4: Using The Wrong Memory Card – Memory cards are the foundation of capturing footage properly. If you do your research, you will find out that there are a ton of different memory cards to choose from. Not only the size of the memory card matters but the class as well! To capture 4K resolution images, you have to have a high-speed memory card. High-speed memory cards will be able to write data fast without experiencing data errors. Class 10 memory cards with at least 32gb of storage are recommended when filming in 4K. Mistake #5: Not Practicing – This is the WORST mistake any filmmaker can make. In order to become a professional, you MUST practice. Flying a drone and capturing stunning footage is not an easy task. Make time to practice complex movements in order to get your ideal shot. I strongly recommend that you visit an open field or park, and practice flying out of your comfort zones. Try to execute orbiting moves, flying low to the ground, panning smoothly, and etcetera. Each week try to get in at least 3 hours of practice. Within weeks, you will see how your skills drastically improve. By avoiding these top 5 worst mistakes, you will not only save yourself from horrible experiences, but you will also be seen and known as a true professional. Safe flying! Thank you for the free and wise suggestions! Thank you for the free and wise suggestions! Keep up the great, generous work! Awesome post!!! I’m learning a tremendous amount of information from your videos as well. As a new videographer, your tutorials ha e been the best to learn from. You sir, are a gentleman and a scholar! Thank you Josh!